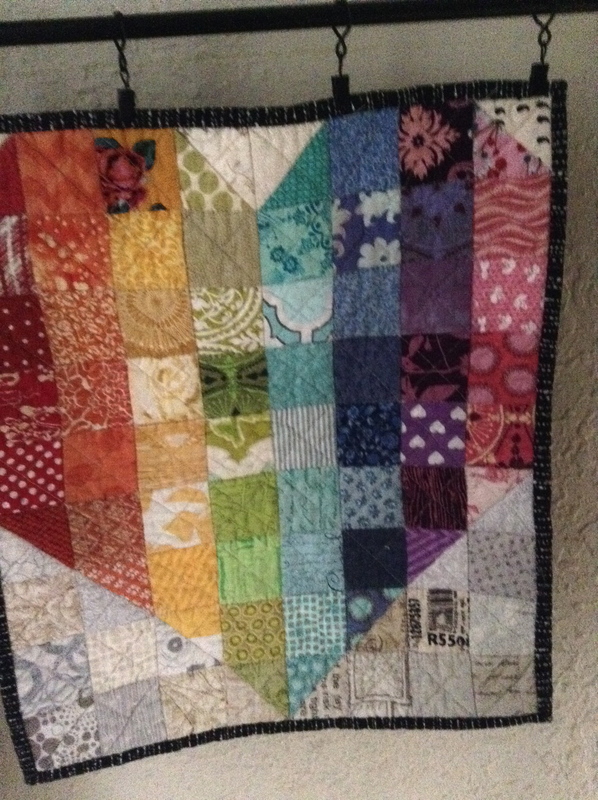 When I finished Polly’s quilt, I wasn’t quite done with rainbow hearts. I loved how happy the simple patchwork and, well, rainbow, of colors made me. So I made a tiny one. 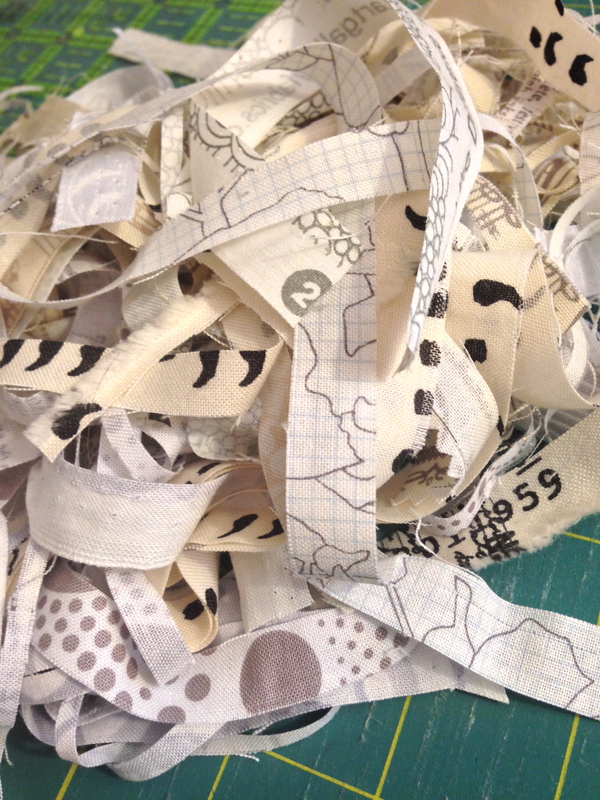 It is the first installment on my mini quilt rod that DH installed for me. Love, Love, Love that man. I have room for two more quilts which I will start working on once I get through the feathersqal deadline. That will take all of my spare time between now and midnight on Friday. 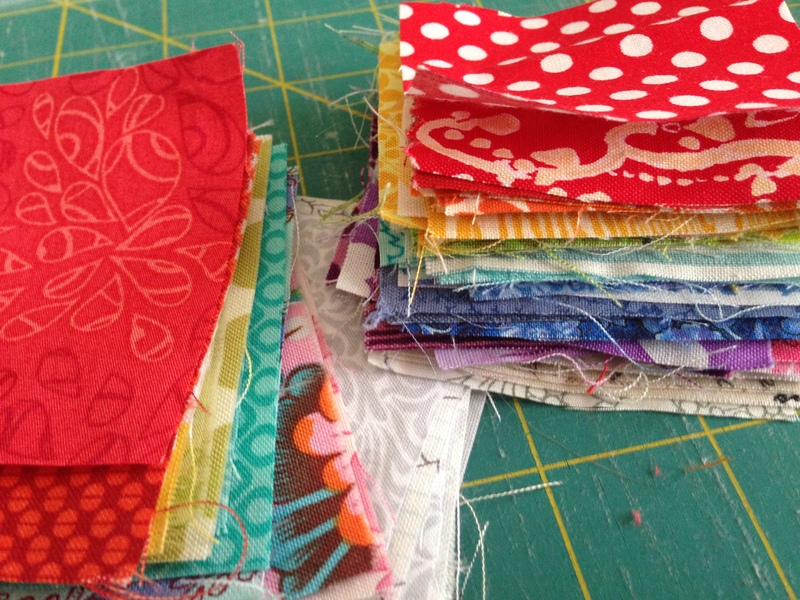 Back to the rainbow heart… the piles created while making this quilt are almost prettier than the finished product. I recently stocked up on a lot of low volume prints. I used to dislike low volume prints… now I can’t get enough of them. Marking my words right now that I really don’t like solids or low volume prints with colors. So in a few months I think that means I will love them.